How Anabolic Steroids Works On Body? Steroids, for the purposes of performance enhancement, should be more accurately referred to as anabolic androgenic steroids. They are categorically a class of synthetic drugs, designed for the purposes of imitating the male hormone testosterone. They come in several forms, with varying delivery methods, but are most commonly taken by way of intramuscular injection or ingested orally. Because of the extreme muscle enhancing benefits that potent increases in testosterone can have on the physical form, steroids are commonly used by athletes looking to increase strength, speed, power, and muscle mass. They do have legitimate use for treatment of some severe medical conditions too, and are available to use specifically for these purposes with a strictly controlled prescription form a doctor, although satisfying this requirement is often very difficult. What are the side effects of steroid use? While there are several reported benefits using steroids can have on the physical form, and while this may be very tempting for the aspiring athlete or gym enthusiast there are some reported side effects that you may want to consider before deciding to use them. Losing your hair: When your body is converting high levels of testosterone, you may develop increasing levels of DHT, which is responsible for damaging hair follicles, resulting in androgenic alopecia. Strain on your heart: By using steroids for an extended period of time could possibly lead to increased levels of cholesterol, thickening the walls of blood vessels, which could potentially lead to a stroke. Stomach irritations: Some reported side effects of steroids include severe stomach irritations. Excessive steroids use is often attributed to poor gut health as it can strip the lining of good bacteria in the gut. Liver damage: In more severe cases, excessive steroid use has been known to cause irreversible damage to your liver. Some advanced anabolic androgenic steroids are made specifically to avoid being broken down by the liver, so as to stay in your system longer. Gynecomastia: One thing that is very common for post steroidal use is a massive imbalance on hormone levels. A sudden decline of high levels of testosterone can result in more estrogen being produced, which is a known attributing factor for gynecomastia. How much do steroids costs? Steroid use certainly doesn’t come cheap. Some cycles consisting of several different steroids and post cycle treatments can cost you as little as $1000 per month all the way up to $10,000 per month. While there are clear benefits for the use of steroids, it may be the case that the side effects or cost are just too high to consider steroid use as an option. 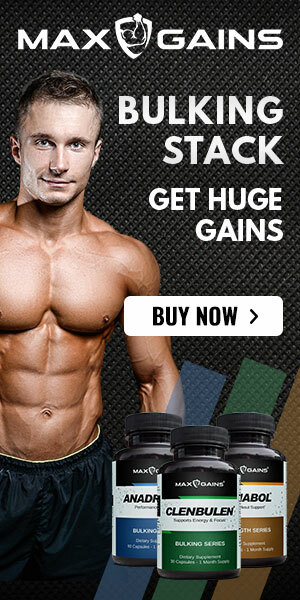 The good thing is that these days there are several supplements on the market that are made with natural ingredients and promote testosterone increases. You can typically get an entire cycle of these natural alternatives for under $250 a month, so it is a great way to start. For a great place to start evaluating the use of a natural steroid alternative click on the link below. Tribulus Terrestris Review Does It Raise Testosterone or Make Muscles Stronger? What is PCT and do I need it?